Carlos and Dany’s destination wedding week on Los Roques was basically a four-day party in paradise. Each day, several boats picked us up in the morning and took us all out to a different island, where we spent all day swimming in turquoise water and consuming 600 Venezuelan beers a day. At night, we danced. 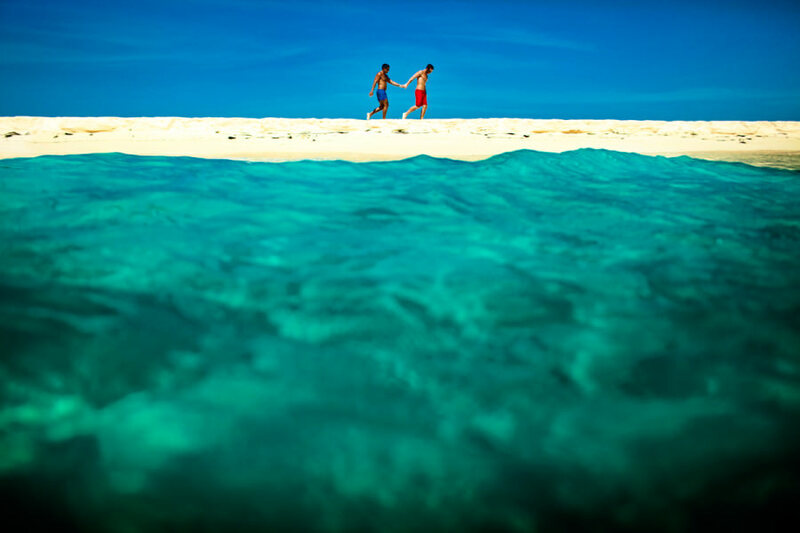 The Los Roques wedding ceremony itself was a life-changing experience for everyone there. It was the most emotional, raw, honest display of love that we have ever seen. Seeing the way they married each other even changed our plans for our own wedding ceremony a month later. Everyone cried, cheered, laughed, held hands and hugged as they listened to the words Carlos and Dany exchanged. It was an honor to be given the responsibility of documenting such a moving gay wedding celebration, and the intensity of their love was obvious the entire week. New Yorkers Carlos and Dany return to Carlos’ native Venezuela for a four-day destination wedding adventure.